Ozone shock treatment kills mold and removes odors. ​Shock treatment remediation is required to remove mold odor because mold and mildew thrive in damp environments and those areas with poor air circulation. If the area smells musty, there's a good chance that live mold spores are in the air. These spores can reproduce by the millions creating health issues, as well as damaging the building and its contents. 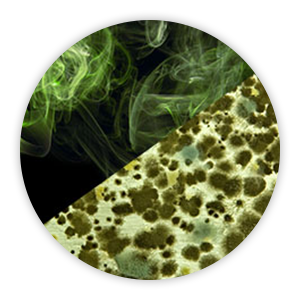 O3 is very effective in attacking mold, mildew and mold spores. At high levels, O3 deteriorates the cell structure of these microorganisms and breaks down their ability to reproduce. As the OdorFree fills the entire space with ozone, every interior surface including floors, ceilings, closets, furniture and clothing gets sanitized. While ozone is not able to pass through solid walls, it goes where normal air can go, even down into cracks and crevices. Solution: To remove musty smells, we close off the area to be treated, place an OdorFree unit in the space, set the timer and vacate the area. 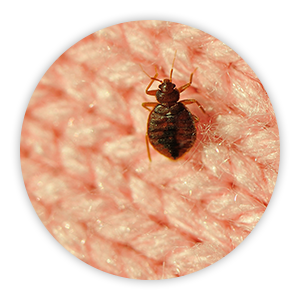 The treatment time depends on the size of the space and how deeply entrenched the mold and odors. 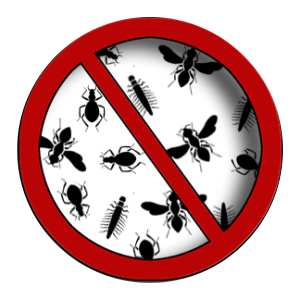 It can take several hours or longer to remove heavy mold smells and kill mold and mildew. After treatment allow the O3 to dissipate for at least an hour prior to re-occupying space. In the event that the source of the moisture has not been completely eliminated, treatment may need to be repeated periodically to prevent return. Note: The fan on the thermostat for the air conditioner may be turned to the ON setting to circulate the O3, kill mold and remove mold smell that has built up inside the ductwork. For long term treatment it is recommended that one window be kept open about 2 inches to provide a constant source of oxygen to the unit for ozone creation. Outdoors, nature eliminates odors and microorganisms using both UV light and O3. 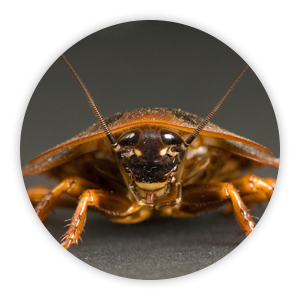 Indoors, most places that generate odors receive very little UV light or O3. The Odor-Free purifier creates O3, or ozone, in a special process that utilizes an electrical current. Ozone sanitizes by breaking down odors, microorganisms and other pollutants at their source. Nature creates O3 as a natural cleaner during thunderstorms, and also from sunlight striking the earth’s atmosphere. As an example, we’ve all taken a walk after a thunderstorm and experienced the clean, fresh smell in the air. That's O3, or ozone, at work. 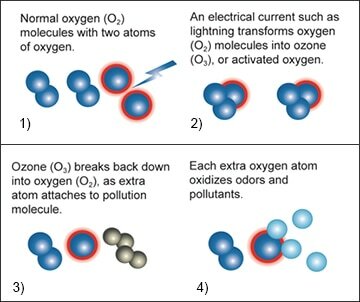 Normal oxygen (O2) is converted to O3, which is commonly called ozone. It reverts back to O2 in about an hour if the O3 is unused. This leaves the air fresh and clean because the source of the odor has been permanently removed. And there are no artificial odors so the space becomes free of odors, as nature intended. 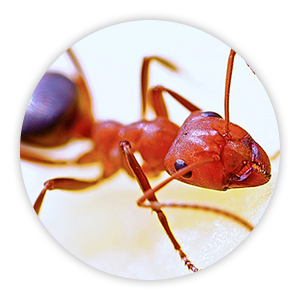 Employ the cleaning power of nature and create an outdoor fresh environment in your facility! ​Ozone Generators for Permanent Odor Removal Odors develop from many sources and greatly impact the way a guest evaluates your facility. From the carpet to the furniture, the basement to the bedroom, the restroom to the classroom, or the lobby to the dining room, unwanted odors can develop and harbor almost anywhere. And the way a place smells sends out a signal about the level of cleanliness. 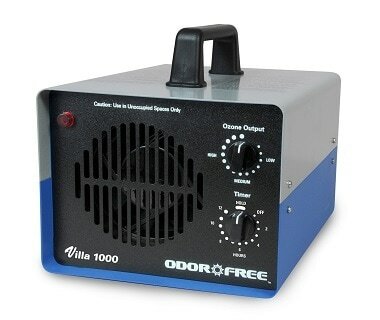 The reason our equipment is called OdorFree is that the ozone (O3) is sent into the room, attacking odors at their source and eliminating them. It naturally dissipates in about an hour leaving only a clean, fresh smelling room.